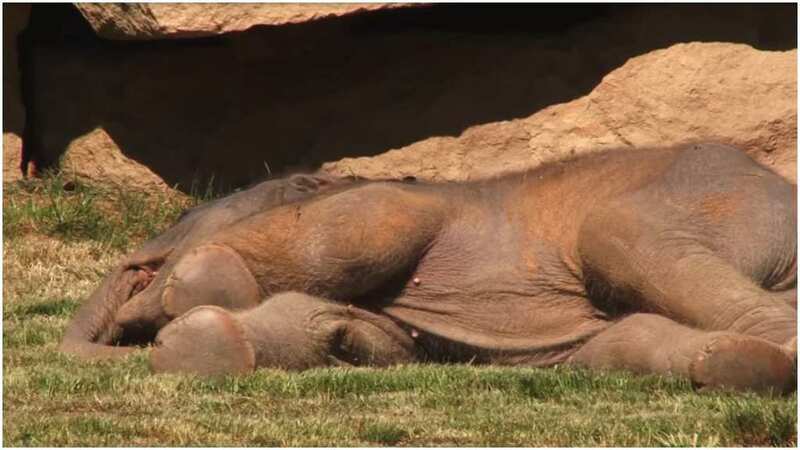 It seemed like a baby elephant was just laying down for a nap, but concern in the zoo began to grow after he would not wake up. 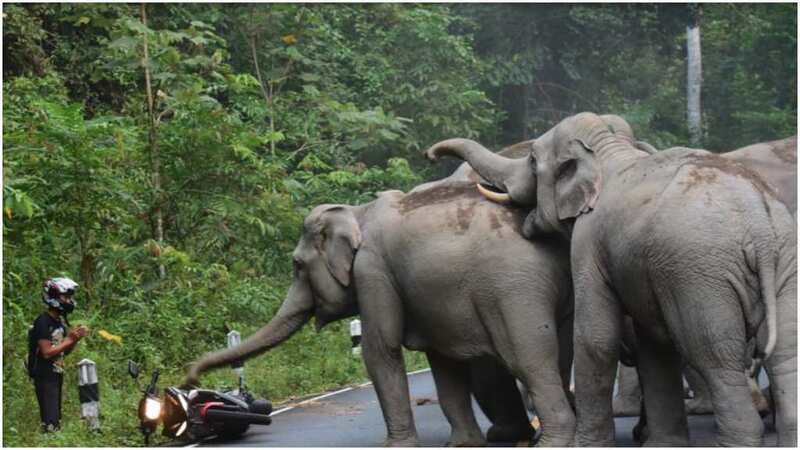 After the baby’s mother tried moving him with her trunk, he still would not respond. His mother thought that something was wrong with her child and began to try and find help from the zookeepers. The zookeepers were concerned about his health, but suddenly someone they knew appeared and ran into help. In the video in question, we can see little baby Max lying on the ground following running around and playing. 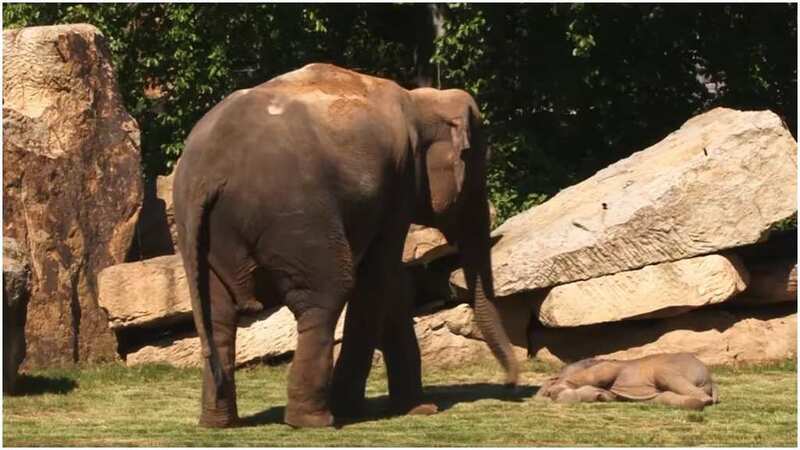 While he lies on the ground, Janita is standing beside her son and looks very nervous. While she is watching Max, he is makes odd movements and the people watching begin to worry for the little elephant. Why won’t he get up? The longer he lies on the ground, the more his body begins to twitch and move. Janita seems to be getting more and more distressed and looks on helpless. She begins to walk around and it appears that she might be looking for help. When no one responds, she returns to Max and keeps trying to wake him up. Unfortunately, Max does not seem to be responding. After a while, when Janita touches Max with her trunk, he does not move at all. She seems to begin to panic after many moments of Max not moving. The stakes were rising and Max clearly needed help. Thankfully, help was soon to arrive as the zoo keepers leap into action. Janita seems to be worrying more as the minutes go by. 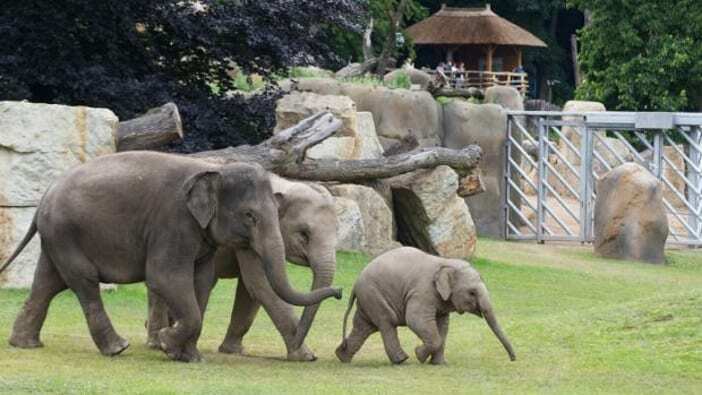 The Prague Zoo is home to eight elephants named; Shanti, Mekong, Donna, Gulab, Tamara, Tonya, Janita and her baby Max. 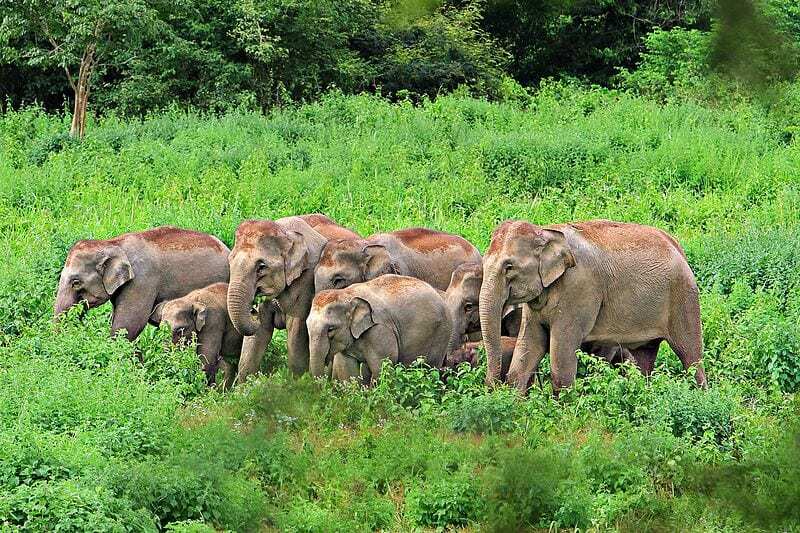 The elephant facility is intended to save the endangered Indian elephant and ensure that they do not become extinct. The zoo promotes breeding programs so that they can contribute to conserving certain animal species. The stars of the story are Janita and her new baby boy, Max. Max’s father Mekong was at the zoo as well but he wasn’t anywhere around at that time. 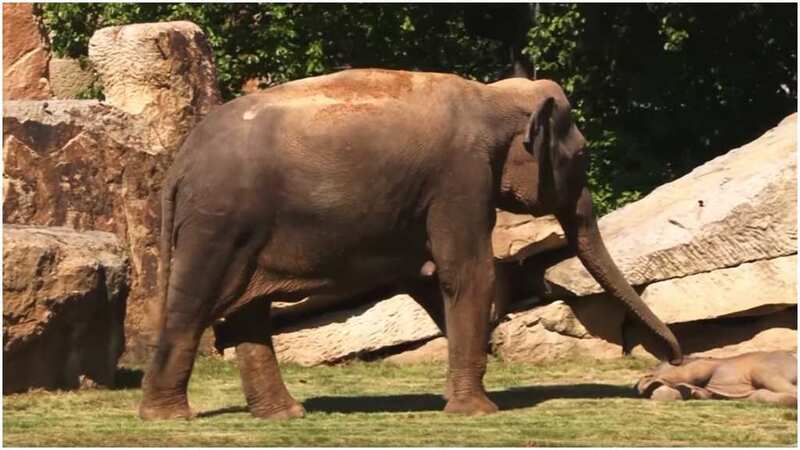 According to the zoo keepers, Max, “spends most of the day in outdoor areas running and frolicking around.” It looks like there is a lot of space for the elephants to roam around in. 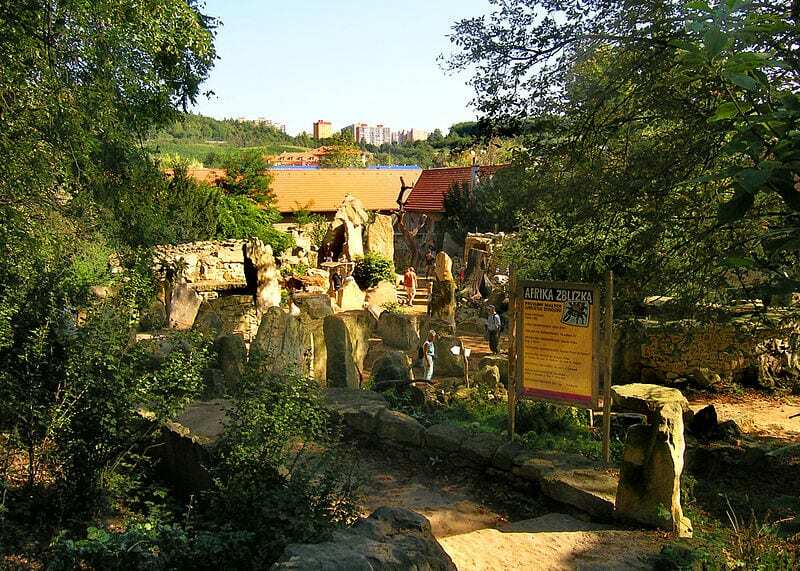 The large elephant habitat in to Prague Zoo is called Elephant Valley and it was especially designed for the animals to have a lot of space to live together and enjoy their lives. Janita looks relieved as she sees the zoo keepers approaching her baby to help hum and walks with them toward Max. While the adults seemed very concerned over Max’s situation, Max looked calm throughout the whole ordeal and did not panic. The reason for this was about to become clear to everyone. One zoo keeper steps in and begin to lightly move Max but to no avail. He puts his hand under Max’s body but he still does not move. 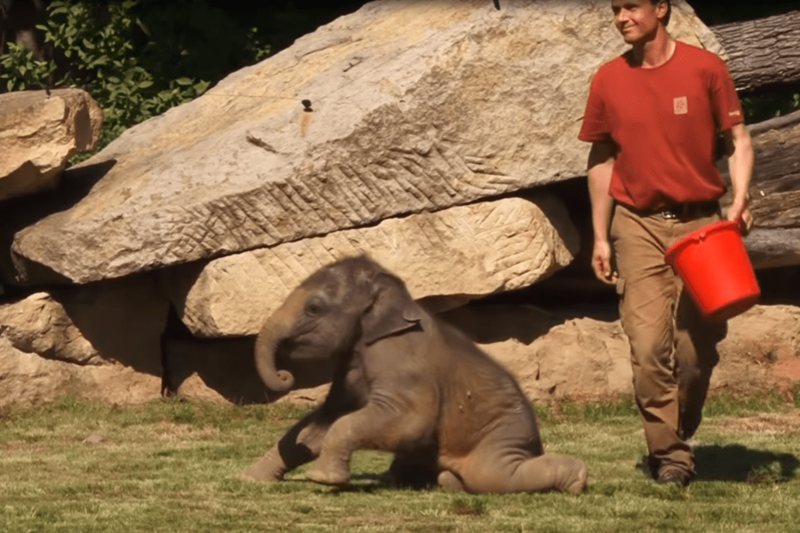 After his attempts fail, the zoo keeper beings to worry and starts to nudge Max harder for some time before there is any response from the baby elephant. The onlookers of the situation were starting to get worried and everyone was holding their breath. 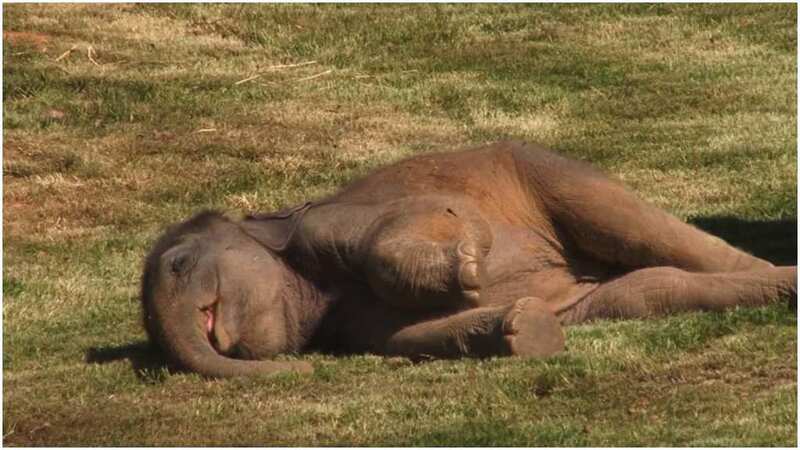 After a while of attempting to wake the elephant, the zoo keeper gets up and walks away with a smile on his face. All of a sudden, Max gets up and walks off as if nothing happened. The onlookers are audibly relieved once Max woke up as it seemed that disaster was avoided. Since the video was uploaded online, millions of people have viewed it. The video was meant to be heartwarming, however, as is the case with many posts on social media, there was some controversy around the video. There were viewers who thought the video was sweet while others said it disturbed them and there was something menacing about the content. 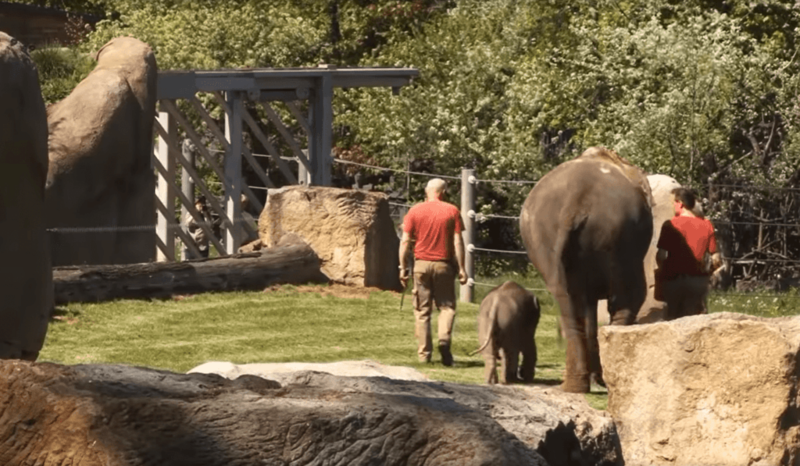 The video had a happy ending and we see the elephants and their keepers walking together around the enclosure. However, there was still controversy surrounding the video. 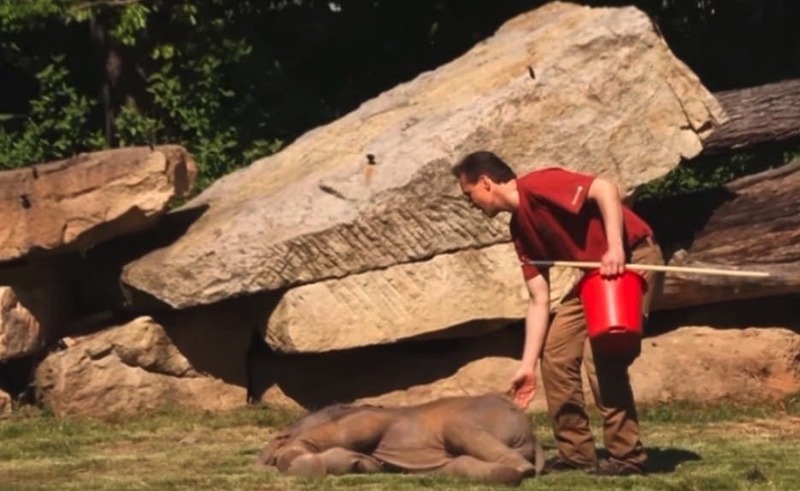 While the zoo keepers went to help Max, the viewers noticed something odd about them. The zookeepers were holding implements including elephant goads and bull hooks. These are known in the animal activist world for being tools that hurt elephants and are often used to abuse elephants. Others claim that they are only used for training and are not always used to abuse the elephants. 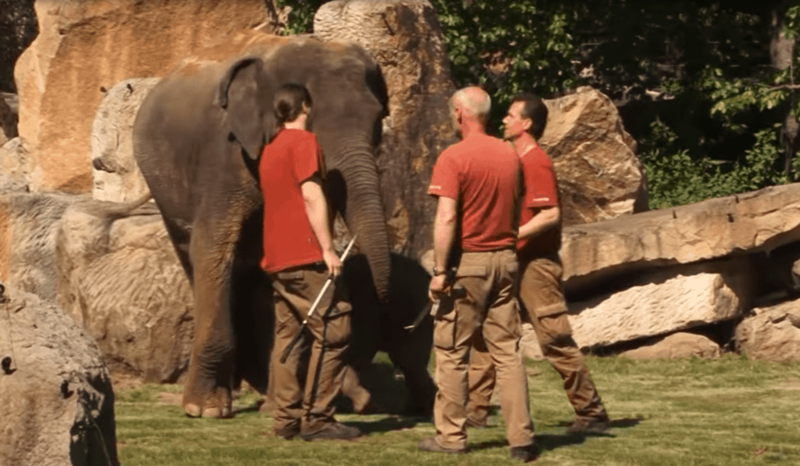 While some commentators were claiming that the zookeepers were abusing the elephants, others were saying that they were merely precautionary tools. 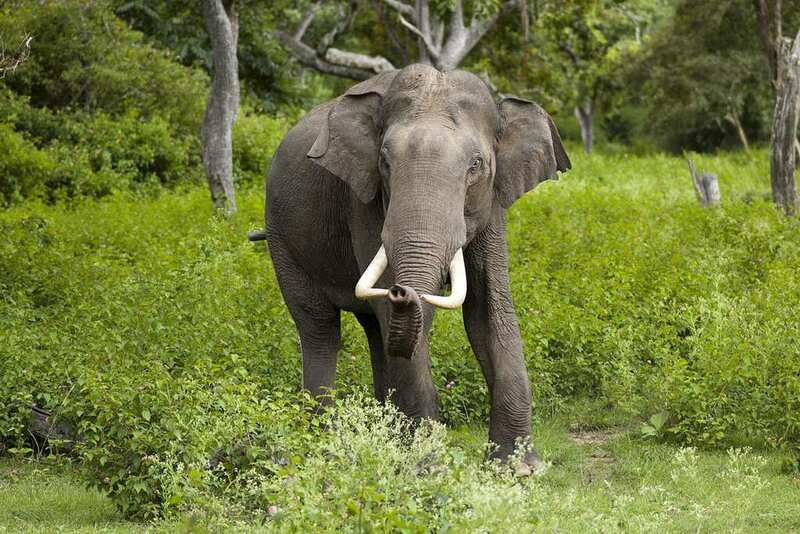 The Indian elephant is classified on the red list of endangered species by an international conservation group. Since the animals are in danger of losing their population, they was a lot of concern when baby Max seemed to be unwell. Visitors to the zoo the day the video was filmed were shocked to see what was going on in the elephant compound. 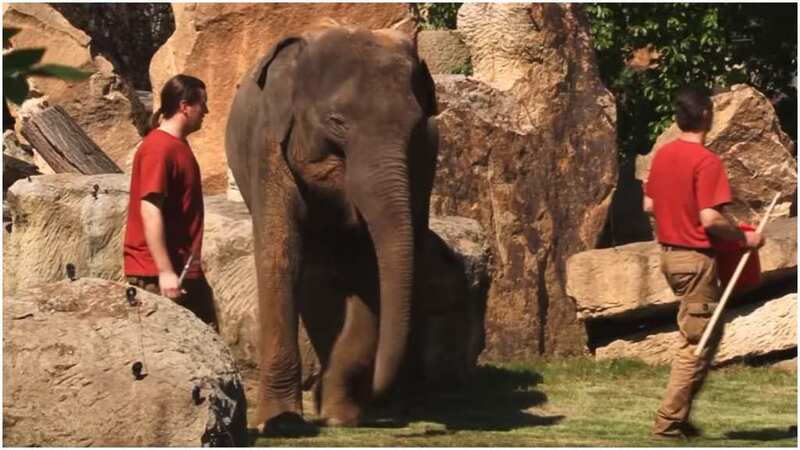 Another said, “The mother elephant didn’t get close because the humans are holding large metal hooks.” But were the zookeepers in Prague really using the tools to hurt the elephants or were they used for training? The video created a debate about the use of these tools and it is still a debate that is occurring in amongst the animal rights world today. 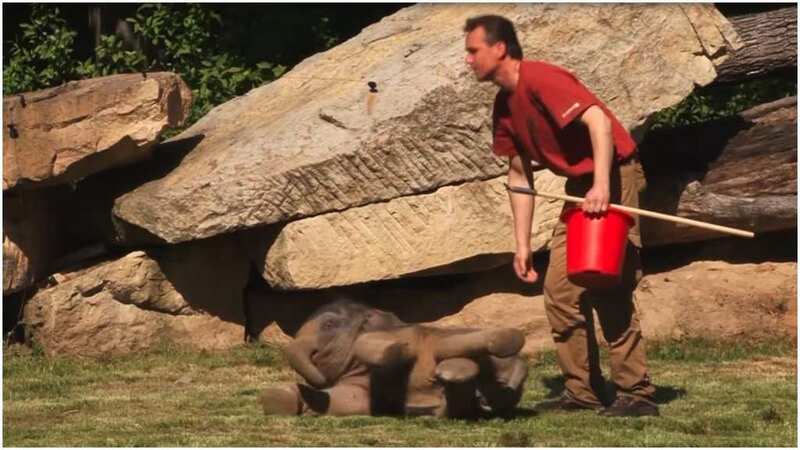 However, it is the case that some people have used bullhooks for abusive purposes in the past but there was no evidence that this is what the zookeepers at the Prague Zoo were doing. 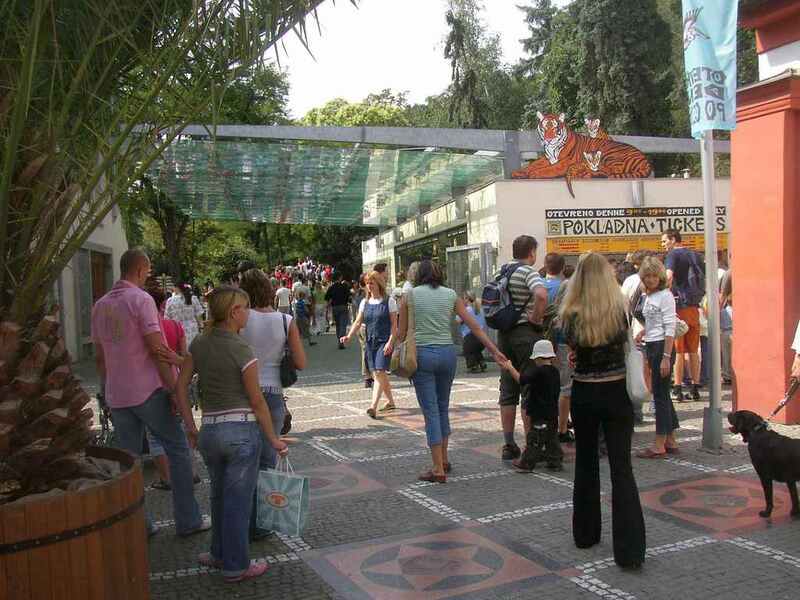 In fact, the zoo has a great reputation and was rated by Trip Advisor as the 4th best in the world. Due to the efforts of zoos such as the Prague Zoo, endangered animals like the Indian elephant have hope to remain as a growing species. These type of programs are helping to restore the animals and keep them away from becoming extinct. 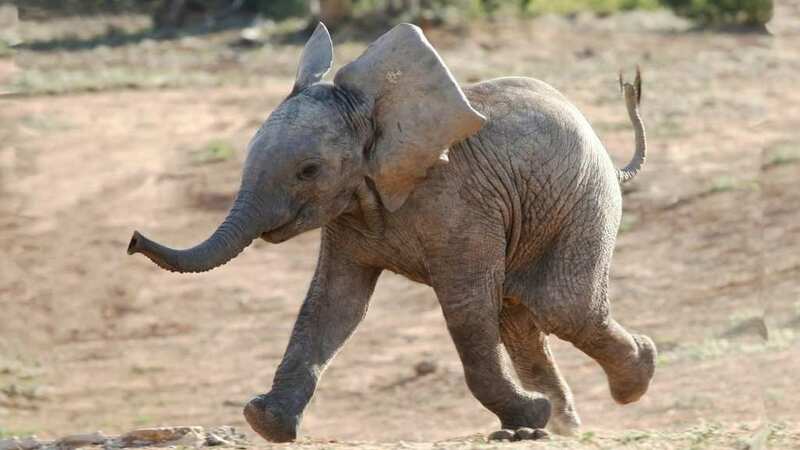 Now, more baby elephants like Max have a chance to live and thrive. It appeared that Janita was just a worried parent and understandably called for help after her son would not get up. It seems that Max was just in a very deep sleep and did not want to wake up. Thanks to the help of the zoo keeper, Janita and the visitors to the zoo could put her worries at ease. The Indian elephant is a subspecies of the Asian elephant. These elephants are smaller than African elephants but still weigh between 4,400 and 11,000 pounds! The species lives in the mainland of Asia but has unfortunately become extinct in Pakistan. The species is facing habitat loss due to an expanding population in their homelands. This is why compounds like the one in the Prague Zoo are so important to keeping the species alive. In the summer of 2016, a video was posted on YouTube that had people all around the world feeling everyone emotion at once. 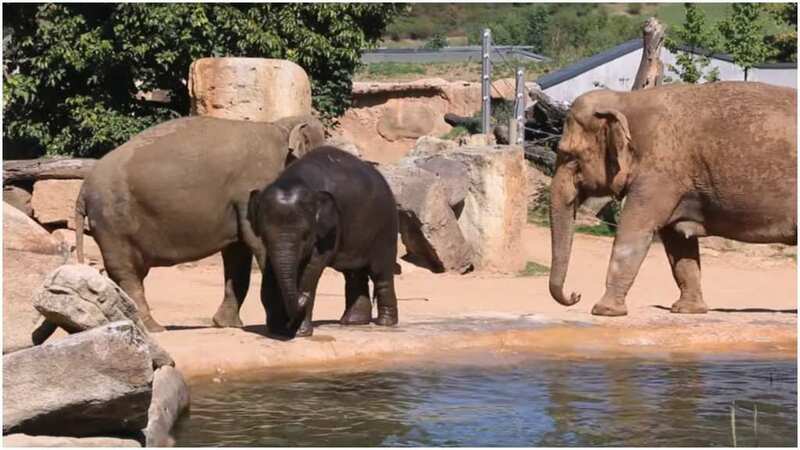 The video was taken in a Zoo in Prague, Czech Republic and showed two Indian elephants. The zoo has a long history of housing elephants as they received their first two elephants in 1931. 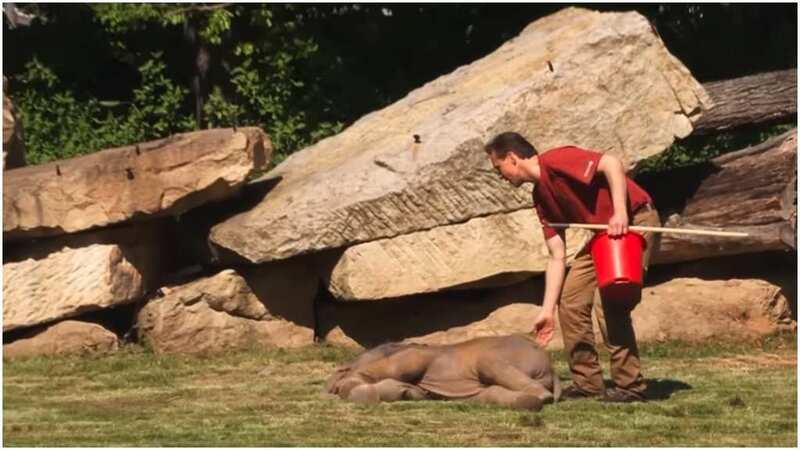 The zoo takes in over 1 million visitors every year, one of whom took the viral video on May 23rd.